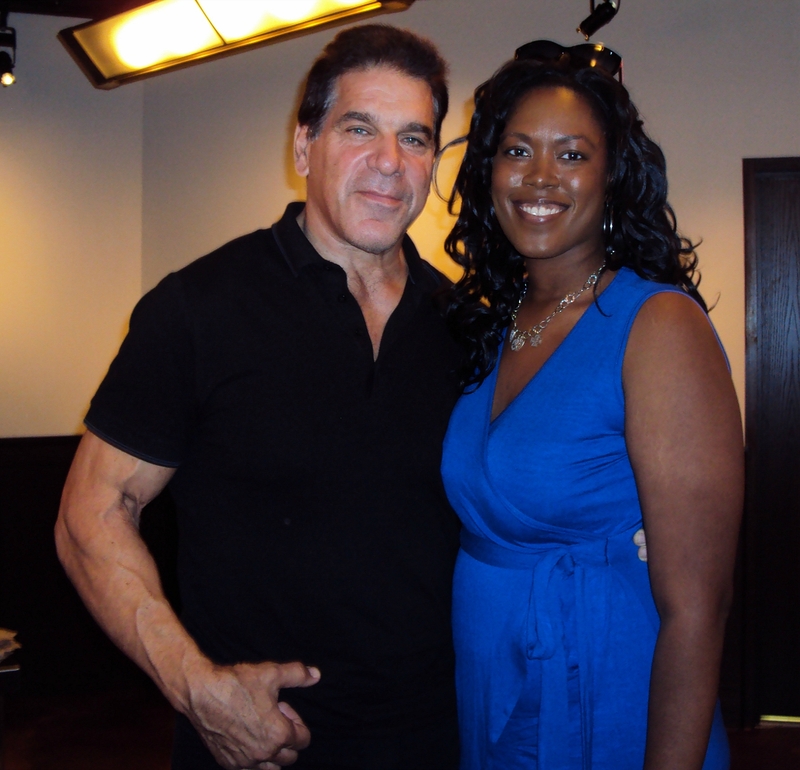 Contributor Jill Robi speaks with Lou Ferrigno about Donald Trump and gets a hug from Dean Cain. You know, the usual. 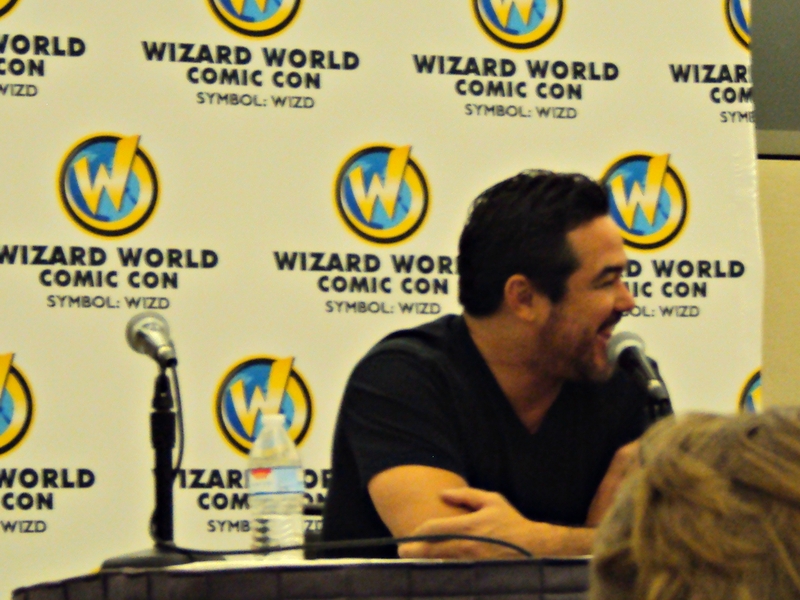 WIZARD WORLD PITTSBURGH—PRESS POV: On the weekend of Sep. 11-13, I attended Wizard World Pittsburgh as press. The tale begins at the Media Mixer, where press had the opportunity to interview LOU FERRIGNO and JAMES MARSTERS. Lou was up first, and I have to admit that I was hesitant to ask him anything, for it was hard for me to not bring up Donald Trump. So, I sat politely and listened while he was interviewed by my peers. I am happy to report, however, that I overcame my irrational fear, and got an interview with him at the autograph table the following day. Lou was quite friendly, and had no qualms about answering anything. Me: Since you worked with Donald Trump, what are your thoughts on him running for president? Lou: To be honest with you, he’s doing well in the polls, and I think he’s got a good chance because he’s talking about protecting our country. Even though he’s a loose cannon. It’s like, if you say anything about him, he’ll come back at you the next day; he’s very sensitive. But I think he’d do a great job as far as helping our economy. If he toned it down a little bit, I think he’ll be okay. 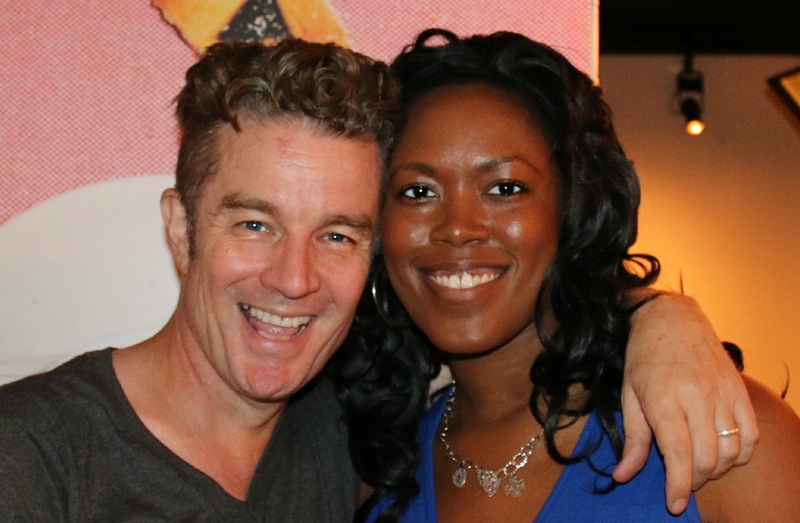 Later that evening, I also had a sit down with James Marsters. It was interesting in that I’ve had so many encounters with James in a fan capacity. Putting on my professional cap, so to speak, and keeping in mind that he is asked a lot of the same questions, I attempted to give him something a little different. Judging by his reactions, I was successful. I do, however, lament not having the time to get into politics with James. He’s quite comfortable in expressing his opinion, and very rarely (if ever) shies away from a challenge. 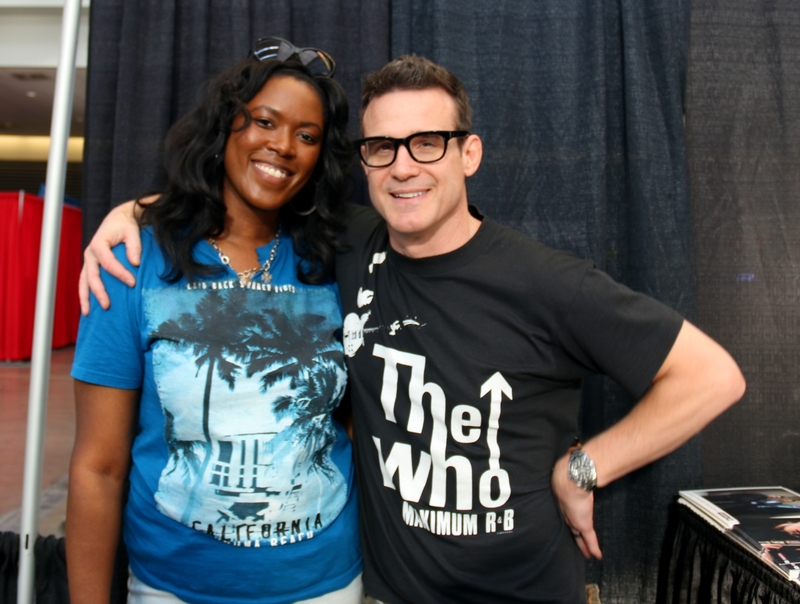 EDDIE McCLINTOCK is always a pleasure. He is genuinely a character. What I found interesting at his autograph table was his innovation. In addition to tableside photos and autographs, Eddie was also selling tee shirts that he had designed. Eddie, true to form, was in good spirits, and even goofed around a bit for the photos. 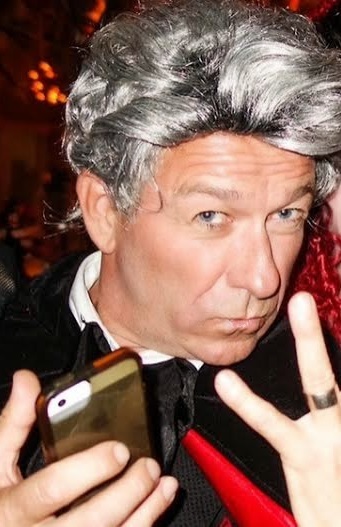 On a marginally unprofessional note, I have to say how refreshing it was to see SEAN PERTWEE in dark denim and a button down. I know that Alfred has his uniform, but how cool would it be to see him in plain clothes, taking Master Bruce out in the city? It’ll never happen, but it’s a thought. Sean: I’m not an experienced cosplayer, but I did dress up my father…I didn’t realize it would create such a storm. On Alfred’s relationship with Bruce: Their relationship starts to change…as a father and son relationship should be. On acting: You don your costume; it’s tailor made for you. You straightaway feel it. Now it’s automatic; I’ve been with the character so long…we know our characters fairly well now. 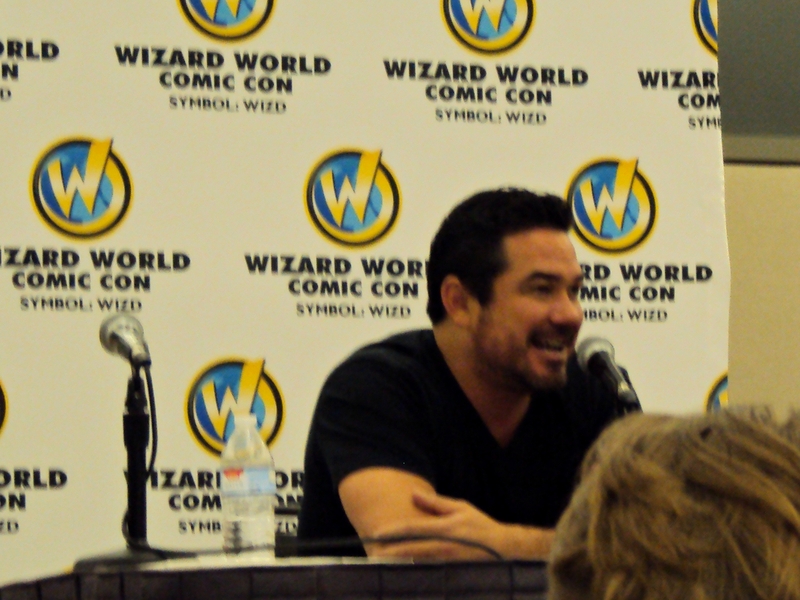 Finally, there is DEAN CAIN. I grew up watching Lois & Clark, and for reasons I can’t quite put into words, felt intimidated to meet Dean. I had seen him all weekend with fans, but I couldn’t shake the feeling of thinking it best to not meet my “hero” or some such. Still, I attended his panel to see what he had to say. Dean was personable. Charming. He pointed out the fans in the audience he had spoken with over the weekend. I observed him and thought, “How can you not like this guy?” Still, as wonderful and friendly has he was, not one person got up to ask him a question. I looked around, then stood, walking over to the mic. Somehow, it didn’t seem right that he had no questions. I decide to break the ice. Me: Have you ever dressed up at one of these, and if not, would you ever consider it? Dean: Ooh, good question! It’d be hard for me to dress up as Superman, well, unless I was wearing a mask. Oh, if I did, I could wear a Christopher Reeves mask, as he was my Superman. This sounds like a great idea for a show. I should write this down. Promise not to sue me? After my question, audience members lined up, giving a steady stream of fan questions. All it takes is one, folks. 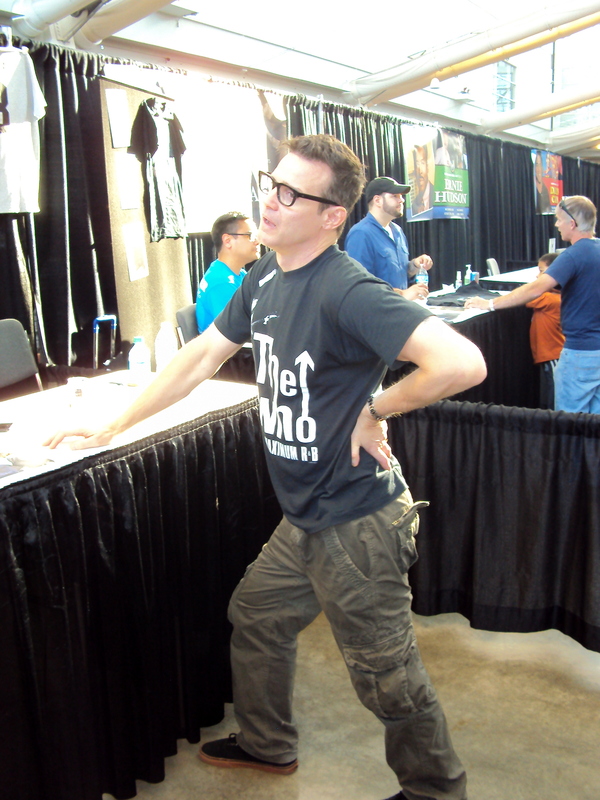 I saw him shortly after the panel at his autograph table. Unfortunately, he wasn’t able to give an interview. Still, I was able to chat with him. Dean: [gives me a huge hug] Hey, thanks for breaking the ice at my panel. Me: No problem. I had a question for you. Actually, I have to be honest and say I was a bit intimidated all weekend to come over and talk to you. Dean: Whoa, whoa, whoa. Stop right there. I was twenty-seven when the show came out, and hearing that you watched it as a kid will just make me feel old. Me: [motions zipping my lips and throwing away the key] Anyway, you’re a bit of a hero of mine, and that show inspired me. So I wanted to make sure I told you. All in all, I’d say it was both a productive (and fun!) weekend at Wizard World Pittsburgh. Do you have any questions for Jill about what it was like for her to interact with some of her favorite celebs? Let us know in the comments! Would you like to cover conventions as press for The Geek Initiative? Email Tara at [email protected] with links to a few samples of your writing to get started. Writer. Journalist. Creator.Jill Robi is a writer first, and a fangirl second. 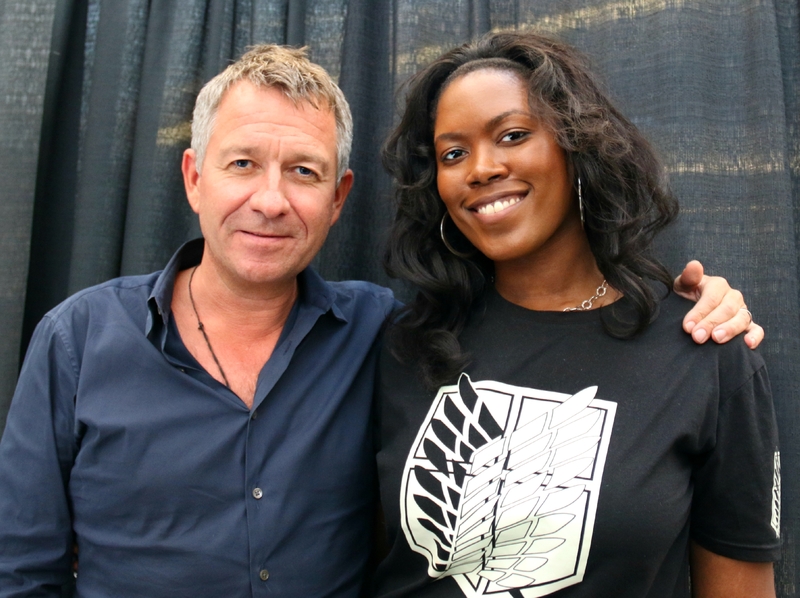 A Chicago native with a BA in fiction writing, she is a journalist, movie aficionado, self-proclaimed geek, avid comic-con attendee and panelist, cosplayer, and fandom participant. A freelancer, she continues to grow her own creation, Fangirl, as a press and film critic.Jill is a seasoned writer, predominantly known for her interviews. She has worked for Unite4:Good magazine, where she cut her journalistic teeth with legend Dionne Warwick, a plethora of CEOs and various musical talent.A freelancer, she has worked for the Sugar Gamers and Black Girl Nerds. Jill regularly contributes to The Geek Initiative as a press and film critic.11893743_10101299606964507_8393959155463387595_oCurrently, Jill is working on her fourth novel. Not keen on being traditional, it is also her fourth, vastly different genre to write in [street contemporary]. Though she favors pop-fic and chick lit, Jill also likes to write poetry, noir, and sci-fi/fantasy. She particularly loves exploring character studies.She writes first and foremost for her own entertainment. She hopes that by sharing her work with the world, she can also achieve the entertainment and enjoyment of others as well.